I’ve been on the move. 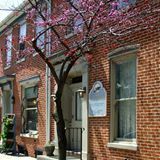 This historic village is where, during the American Civil war, the Confederate Army made its northernmost incursion—a two-day event. 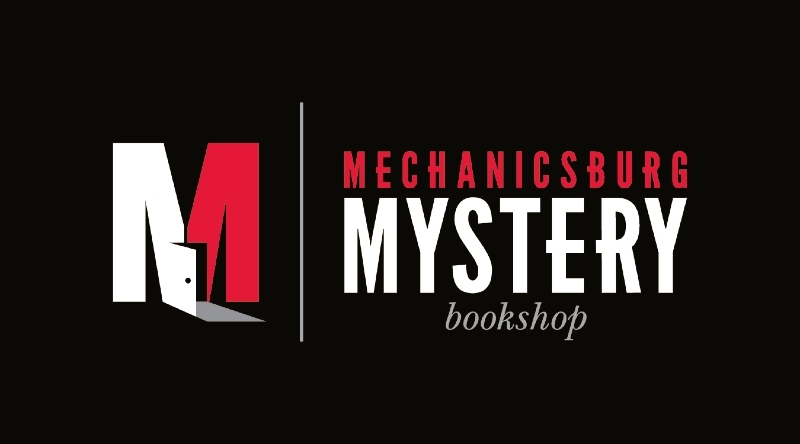 Charming and well loved by its inhabitants, it is now also the home of the Mechanicsburg Mystery Bookshop, run by the remarkable Debbie Beamer. 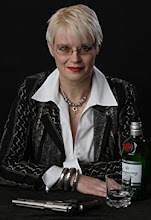 Debbie is passionate about the genre she sells and imaginative about the way she promotes her business and the authors who are lucky enough to visit her. On this recent trip, I learned about other businesses run by women in the town, and as an entrepreneur myself, I am impressed by their attitude of mutual support and their success at pooling their talents. In addition to the bookstore, Mechanicsburg has a tea parlor, a spice and herb store and garden, and a flower shop. The women who run these four separate enterprises have found synergies among their businesses that benefit them all. Last week, I was the beneficiary of three of them. 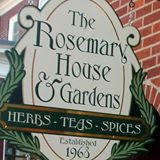 Once a year, Susanna Reppert, owner of The Rosemary House, herb and spice shope and garden, arranges for an author to present at a themed tea party. This year I had the privilege of being that writer on Sunday the 12th at a ‘Traveling to Africa Tea.” Susanna did all the organizing and coordinating. Debbie and some of her helpers scheduled a book signing in the early afternoon. Folks showed up in Susanna’s beautiful garden, where the tables were covered with lovely African cloths. Debbie sold books at one. I signed at another. Susanna's son—Cedar—dressed in his safari outfit, escorted the guests to us. The menu says, "Keep a Watchful Eye Out for the Zebra?" And, "Do You See the Cheetah? Brownie"
A word about the Scottish scones—they were like delicious clouds. Nancy could give lessons to all the lesser-talented bakers who made all the (a thousand by now) scones I have ever eaten. Delighted, I spent the night with Susanna and her family. 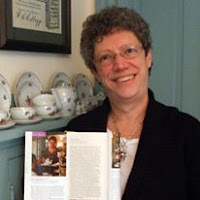 And the next morning, on a drive to the train station in Harrisburg, I got to talk the book biz with Debbie—informative, funny conversation—with a great deal of mutual agreement. On Monday evening, I made a cameo appearance in my New York apartment and headed out the next morning to JFK and a flight to Minneapolis. —where Stan and I have a ton of work to do on the anthology of short crime fiction Sunshine Noir. We have been editing up a storm. We have made great progress, despite the occasional tiff over the definition of an independent clause. And there has also been some of this each afternoon. Yum. And to delight you all, here is something we saw on the PBS News Hour, while we were sipping some of that nice bubbly. Massa, sir, we is workin', sir. Sunshine Noir is planned to launch in August, with 16 stories including ones by me, Jeff, and Michael. 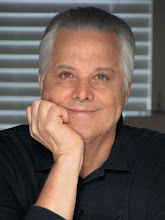 The next Tolliver launches at Bouchercon, and that was me, slaving over Tolliver three on trains and planes. My work is largely a joy to me. I will NOT apologize for that. 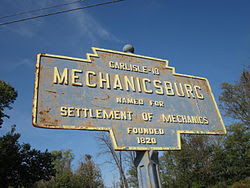 After studying that menu, I think there's a real risk that on visiting Mechanicsburg one might come in like a lamb but go out like Kubu. Jeff, The only thing that would have made the event better would have Kubu showing up. Thoroughly enjoyed reading about the afternoon in Mechanicsburg from the author's perspective! Thank you for your kind words about the scones we serve in Sweet Remembrances! And thank you for joining us on this extra special day! Oh Susanna, MY thanks go to you for all you did to make the day such a success. It was such a delight to get to know your family, as well. Book tours almost never include that level of warmth!